What is a Melt-Away? Some would say a sumptuous little bit of heaven. 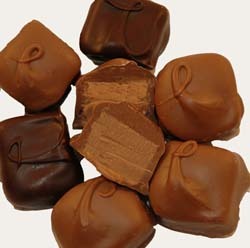 Smooth, chocolatey, and rich, Dorothy's Melt-Aways blow most "truffles" out of the water. Made here at Dorothy's with Dorothy's own secret recipes, we use our own secret recipes! 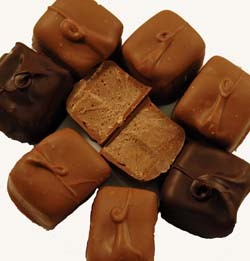 Melt-Away centers are chocolaty ganache with just the right touch of nuts or flavoring. 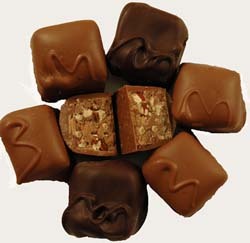 The centers are then drenched in our rich chocolate. 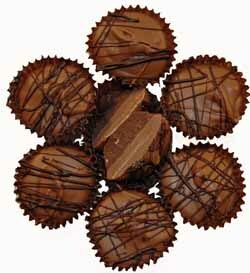 You get the snap of Dorothy's chocolate over a rich ganache texture. Wonderful! Perfect for chocolate lovers! Take your pick: Mint, Raspberry, Peanutbutter, Pecan, or Chocolate. Of course, you can get them all! 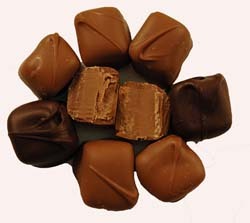 Or get them all in our fabulous Melt-Away Assortment.